Want your students to master subject matter in creative & innovative ways? Students can synthesize content & reach a more complete level of understanding by composing scripts on a topic taught & developing their own BrainPOP videos.Explore how students' creativity can POP using digital tools as they work collaboratively to imagine new perspectives. 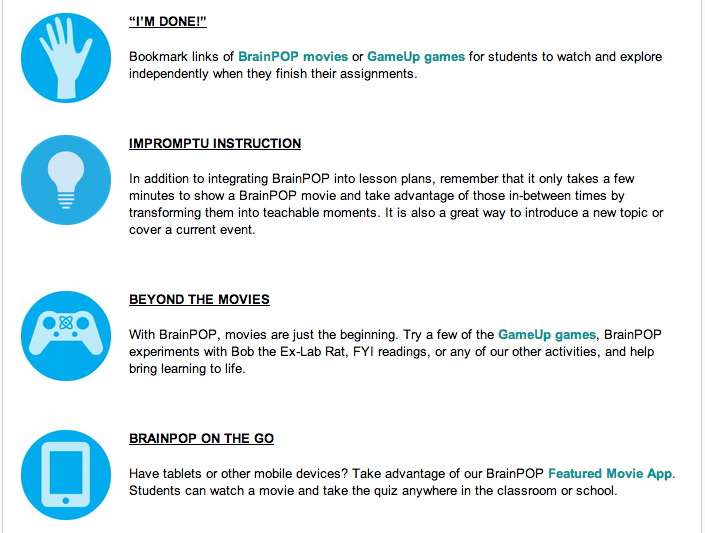 Not familiar with BrainPOP? Click the link below to learn more! A free site with great rosources! 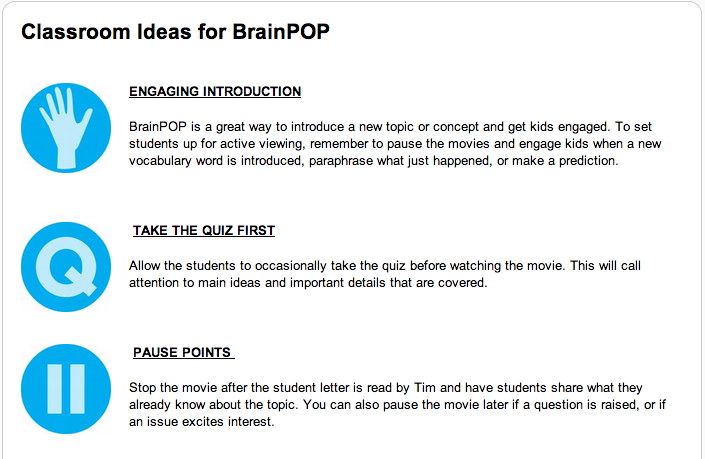 Click the image to view the topic list so you can see if there is a movie related to your lesson. Teach English to speakers of other languages.